I will be at the Gwinnett Center in Atlanta, GA, this coming March to share with you many new things. This time I will bring to you three machine quilting classes and one quilt construction technique. These classes are all wonderful and full of information. Don’t miss them! 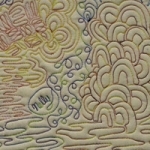 One of the greatest things about a modern quilt is all the open space to be filled with quilting motifs. And yet, all that space can seem overwhelming. 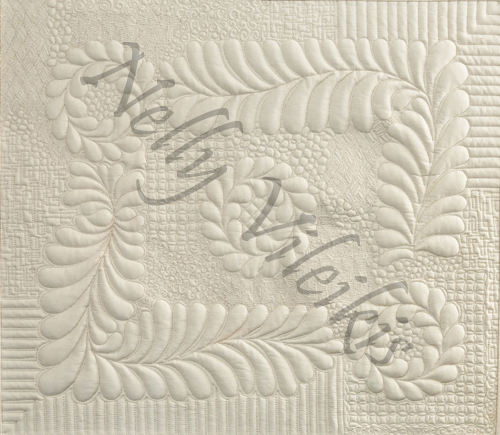 Using her own quilts (just featured in Modern Patchwork), Nelly shows you how to divide the space into manageable sections, then fill it with designs that create a unique, artful composition. 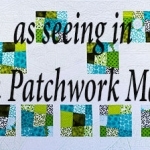 See several different approaches and many design possibilities as you learn to create incredible texture, complement the patchwork and make your quilt sing! Imagine a curvy quilt made entirely from fabric squares and rectangles! Some say it’s like Cathedral Windows by machine … and while the motif is similar, the process is completely different and new. Advanced beginners and more experienced quiltmakers alike will delight in how easily these curves appear – a result of strategic fabric manipulation, of course. 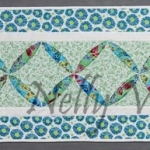 Finish as table runner or wall-hanging. The goal: choose and execute quilting motifs which enhance the piecing on a quilt. Sometimes background fillers are the answer, since they just give a quilt that little extra. 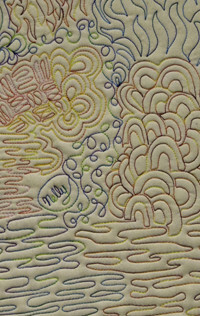 Learn to select, draw and stitch, from the front of the machine, many background fillers including a few based on a grid and several appropriate for the more modern quilt style. 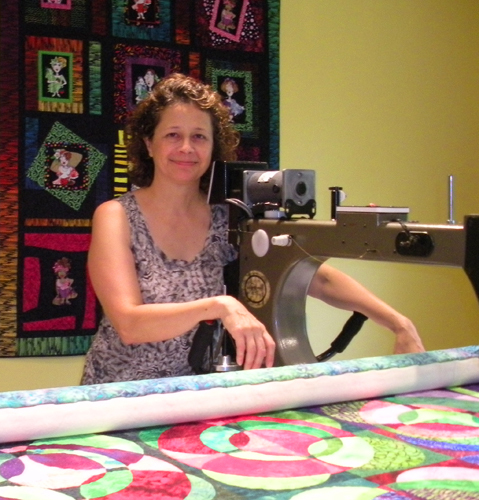 In the Gammill Longarm Studio sponsored by Pat’s Calico Cottage. 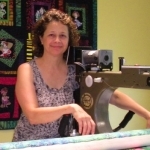 If you are ready to move to the next level in free-motion quilting, this is your class! Learn to draw and stitch easy feathers and fit them into different block shapes just like you would in an actual quilt, all using minimal marking. We will discuss several ways to transfer designs onto the quilt top, battings and thread choices, and other important points for successful free-motion quilting. In the Handi Quilter Sit-Down Longarm Studio sponsored by Georgia Sewing & Quilting.